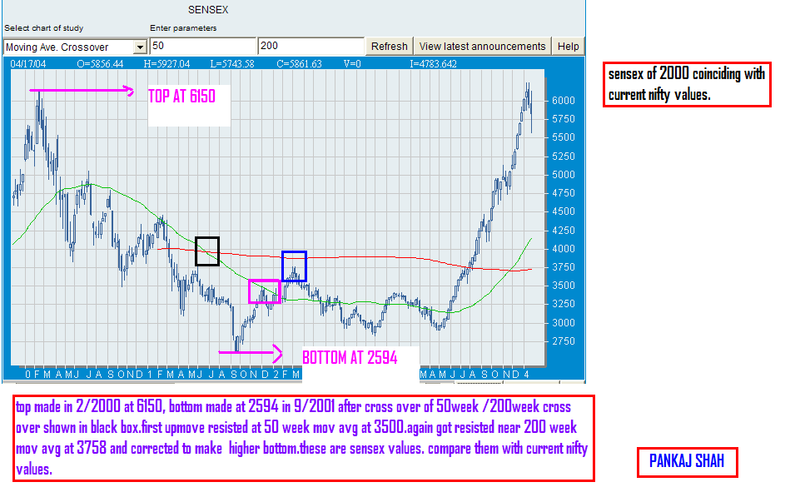 look at chart of sensex for 2000-2001 and compare sensex values with current nifty values. 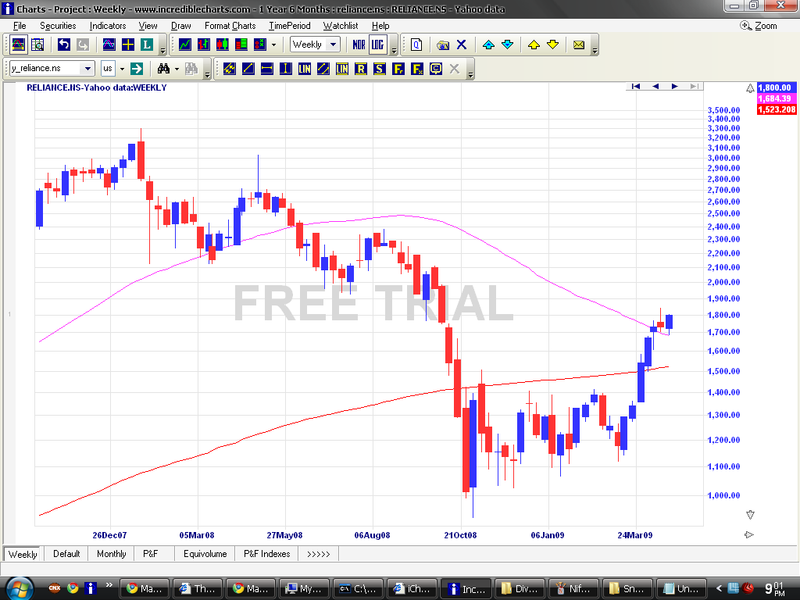 Also 200 WEEK Moving Average comes near 3775 region. Who is going to catch whom? How to Install Metatrader 5 on your MAC OS Machine TO Install Metatrader 5 on your MAC you need to install an emulator with a simple application called PlayOnMac. Then you will be able to install and use MT5 from your Mac OS operating system. 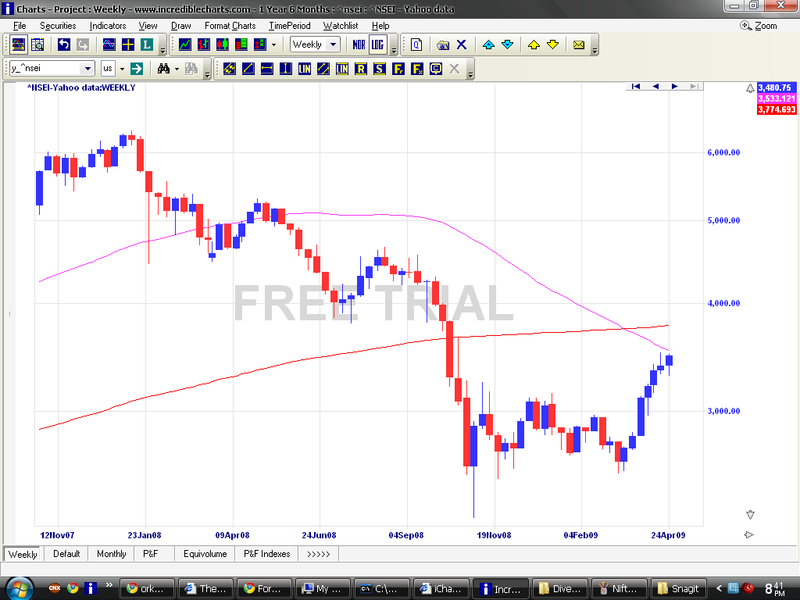 First in First out ….Reliance above 200 WMA now Time For NSEThen reliance may come down and nifty will follow it.Weekly Stochastic has as already given sell.weekly Williams %R is also overbought signal for Reliance. There is a sharp Diversion for 14 & 20 week CCI for Reliance for 5 weeks.Similar Diversion for NSE for last 3 weeks and sell signal by StochasticWeekly CCI for NSE & Reliance are in overbought condition…This may take place in May 2009 less chances for April 2009.After Loksabha elections Hung House can create panic in market.